Star Wars is a wonderful piece of human imagination and creative spirit. 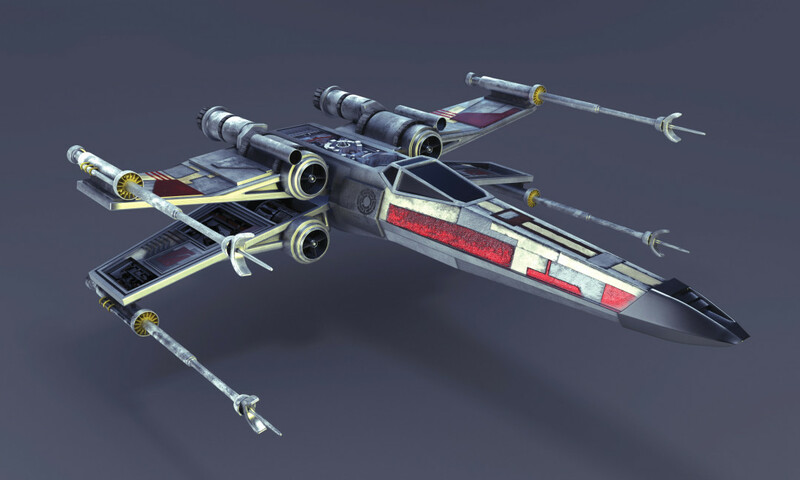 Here is my contribution to it: X-Wing 3D model created in Blender. Since I saw the first movie I was astonished not only by transportation vehicles and overall sophistication of the Star Wars universe, but mainly by the abilities and philosophy of the Jedi Knights. In the end, their movements led me to few years of training b-boying (or breakdance, if you wish) and lasting fondness of acrobatics, parkour and freestyle gymnastics.